I remember reading The Song of Bernadette when I was in high school. It was from my parents’ collection of Reader’s Digest Condensed Books. This morning my children’s school celebrated Mass in honor of the day. (Instead of First Friday Mass, the school chooses feast days of certain saints and celebrates Mass on those days. And the children learn about those saints ahead of time!) Today the deacon preached about the Gospel (the wedding at Cana) and how the Blessed Mother told the waiters to do whatever Jesus told them to do. 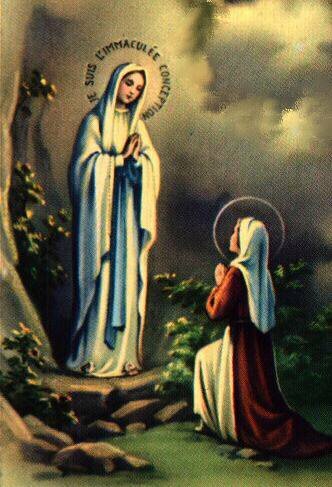 Then he told them the story of the apparitions at Lourdes, and how Saint Bernadette also did the will of God. Finally, he reminded them that they, too, should do whatever Jesus tells them. I never did get around to reading the full version of The Song of Bernadette. But I think it’s time I did.